Speaking to your tax professional twice more after filing your income taxes helps you manage your money more efficiently. I always recommend to my clients that they undertake two important tasks when it comes to income taxes and homeownership. tax professional and create a long-term relationship. tax professional THREE times annually. One conversation obviously takes place during tax time. Sitting down with your tax professional shouldn’t only be about getting your income tax returns done. You should also be discussing your financial plans for your future and your current financial standing. A great tax pro can use that conversation to guide you both during the tax filing process and also throughout the year when you speak to your tax pro TWICE MORE. The next TWO times you speak with your tax professional should be in June (around mid-way through the year) and again in September-October. These chats don’t need to be lengthy—fifteen to twenty minutes probably covers your current financial status. You’ll want to review your Year-To-Date income and income tax withholdings on your paystubs, especially if you have modified your withholding numbers to maximize your take home pay. More about that HERE and HERE. Speaking to your tax professional twice more after filing your income taxes helps you manage your money more efficiently, IMHO. You’ll avoid any nasty surprises with the IRS (you never want to find yourself owing money at tax time!) and you’ll find yourself with more cash in hand throughout the year. That all having been said: Speak to your Tax Professional NOW. I welcome Comments for all my blog entries. I will be happy to review and approve all legitimate comments provided by readers of tcurranmortgage.com. I do not permit unfettered access to comments for obvious reasons: mortgage spammers and their ilk. If you wish to Comment on any entry, please do so and I will quickly review and approve. 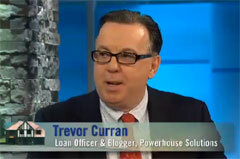 Thanks for reading tcurranmortgage.com. Hope that helps!